Originally constructed in Riverside County 1935 by the California Div. of Forestry and the CCC, Estelle Mountain Lookout is a 14’x14’ C-3 cab with catwalk on a 30’ steel tower. 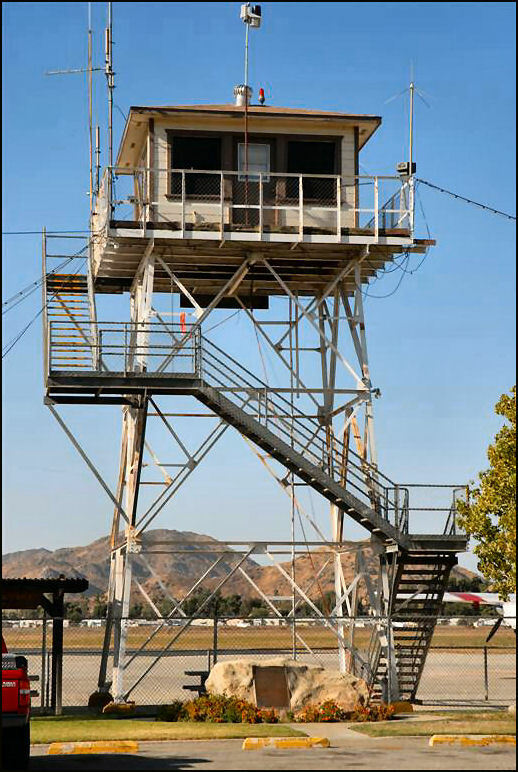 About 1958 it was moved to its present location at the Hemet-Ryan Air Attack Base, where it is used as a ground operations control tower, overseeing a busy Cal Fire air base.